Baguio City is called the Philippines' summer capital because of its cool climate. Tourists flock to the mountain city in the summer to escape the city's heat and during the Christmas season as an excuse to use winter clothing. 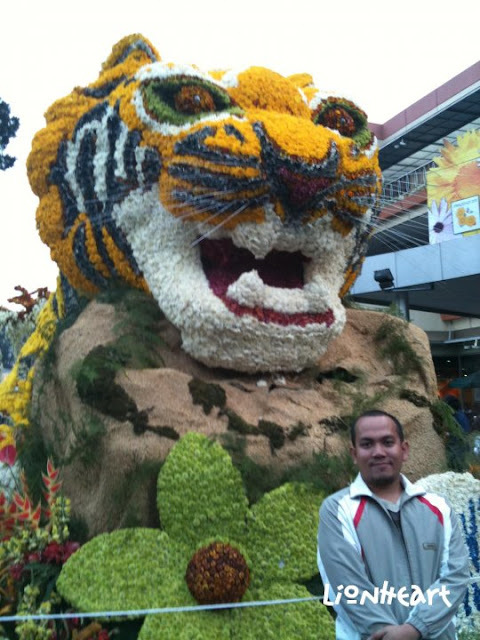 One of Baguio's most awaited events is the Baguio City Panagbenga Festival, also known as the Baguio Flower Festival, which is usually set in February. What started as a filler to promote local tourism during the lean months soon blossomed into one of the most anticipated events in the city. The festival is a month-long event, with this year's Festival opening with a program on February 1 and closing with a Grand Fireworks Display on March 6. There are different activities each day, with the Grand Street Parade and the Grand Float Parade drawing the most crowds. The Grand Float Parade is the most anticipated event of the Panagbenga Festival. It is the Philippines' version of the Pasadena Rose Parade, where motorized "floats" or carriages are decorated with fresh flowers. This year's theme - “Community Convergence for a Sustainable Tourism Growth” - was applied to the design of many floats, most of which displayed slogans preaching care for the environment. The event will run starting February 1 up until the 18th of March. Expect the grand Street dancing parade on the 25th of February, 26th is the Grand Float Parade . The entire Session Road will bloom from the 27 until March 18. Just an advise to those who'll be going to see the Grand Float Parade, if you can make it earlier than 7am, the better. Anticipate that lots of people will be out early to scout and take the most convenient spots. Good places to watch the parade are Postal Park, entrance of Melvin Jones Grand Stand and the Athletic Bowl. Panagbenga Festival 2012 Schedule of Activities. The event on the 25th and 26th from 4am to 1pm South Drive Teacher’s Camp gate to the Military Rotonda to the Session Road and Harrison will be closed for the Panagbenga parade. Both grand street and float parade. The best thing to do this month is to enjoy and celebrate the ‘love month’ in Baguio for The Panagbenga festival or known as Baguio Flower Festival and stay in one of the best hotels with a European experience, Eurotel Hotel (click the link here).